Velvet Ice Cream has been a favorite ice cream for generations. Today the Velvet Ice Cream brand is known across the country as one of the premiere ice cream manufactures. Located just south of Utica, Velvet Ice Cream has become a definite must see place for visitors. And now that experience is even better. Velvet Ice Cream Co. has more than doubled the size of the viewing area for visitors to 1,100 square feet after a recent plant expansion. Each more than 150,000 visitors view the ice-cream production. 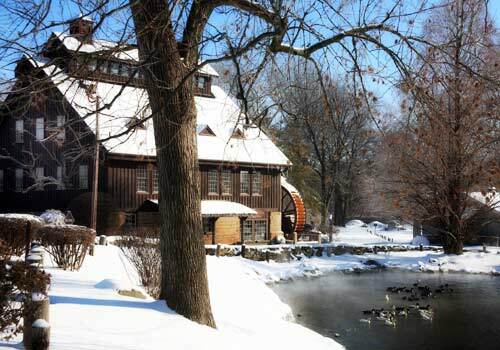 Ye Olde Mill features Ohio’s only ice cream museum. Ice cream making began in 1914 when Joseph Dager began making ice cream for Utica residents using a hand-cranked machine. Over the years the the company changed, a little at a time, until 1960 when the family moved the ice cream plant to a new site just outside of Utica. That site had an old gristmill that was originally built in 1817. The Dager family restored the mill and used it as its headquarters next to the production plant. That old mill soon became the company's trademark and appears on every package of Velvet Ice Cream. 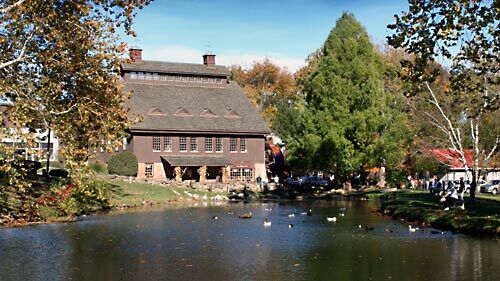 In 1986 the original mill burned to the ground and many of the company's original mementoes and artififacts were lost. But the mill was rebuilt on its original foundation. 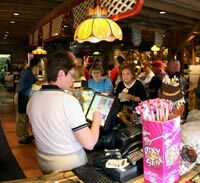 In 2000, they opened the Visitors Center, built to resemble Grandpa Dager’s old milking parlor, which offers hourly tours of the museum and observation of the Velvet Ice Cream factory at work. Large groups, such as schools, nursing home, churches, tour buses and any group larger than 15 are encouraged to schedule a tour.